Äntligen. Eller pjuh. Väntan är över. SKAM. Säsong fyra kommer att sändas i Sverige. Eller i alla fall i SVT Play. Glada nyheter till er som älskar SKAM. Säsong fyra är på ingång och det redan till Påskafton. NRK som tidigare gick ut med ett pressmeddelande om att man inte kommer visa nya säsongen i Sverige är alltså passé. Den nya säsongen med Sana i fokus sänds dagen efter här i Sverige på SVT Play. Toppen! Nu slipper en fundera på VPNa, fulstreama och hur en ska ens förstå något av serien Utan svensk textning. Jovisst. Noora och Sana kanske en förstår, men Eva och Vilde, oh boy! Där går nog min gräns i norska. Thoughts about lifestyle and habits, question the usual! I think it’s important, in all areas of life, to question the ”usual” or the ”normal”. It may not always be necessary or result in changing a behavior, but what if we realize that we actually have no idea or good reason for doing things how we are doing them – and there is a better way? Should I take aspirin if I have a headache, or maybe drink water and think about what the real problem for this headache is, not the symptom? Should I watch the news everynight or may I spend that time in a better mode reading the headlines later? Do I really need to know? What if failing is the best thing I can do, because THAT actually means I’m learning what’s right – so the school could really use some major changing in the system of tests/learning? Is it really meant for us to work specific hours a week 8am to 5pm – Monday to Friday? Don’t take the easy way out, by just doing and going. Stop and think about your habits. Question them. The worst thing that could happen, is you realize everything you are doing is in perfect match with what you want to become or how you want to live. The best thing that could happen, is that you start changing your life. 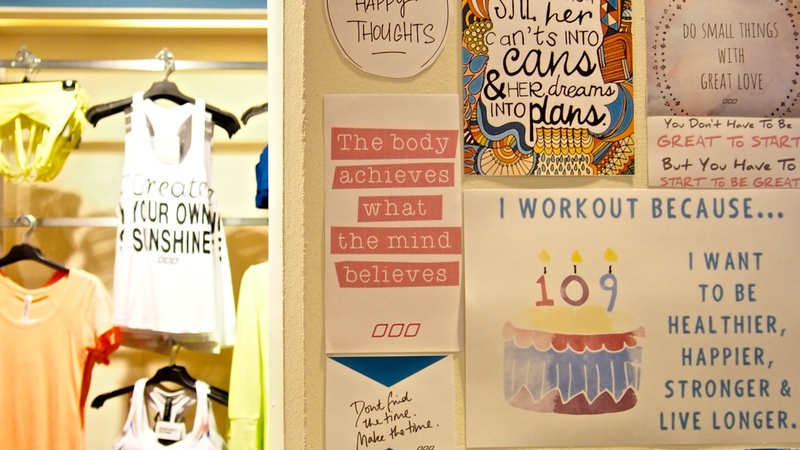 Have we reached ”Peak Health” – Or the end of the health trend as we know it? Inspiration & Motivation, Krönika As Publisher of Rawness I have responsibility over people's lives. Every article published can contribute to both wellbeing and anxiety and disorderly behaviour. Our contributors have been carefully selected because they have a balanced approach to health and life in general. And the word balance is key here - when we understand that life is not black or white, that not all health related advice comply to each and everyone, then we have come far. This is why the normalisation of health needs to take place, and why we need to talk about food and not health food, about life, not active lifestyle. For a while now, I have been having this itch, this regular itch that comes every now and then. It’s usually based on a hunch, a feeling and reflection about a trend or phenomenon that I need to pursue, research, identify and clarify. 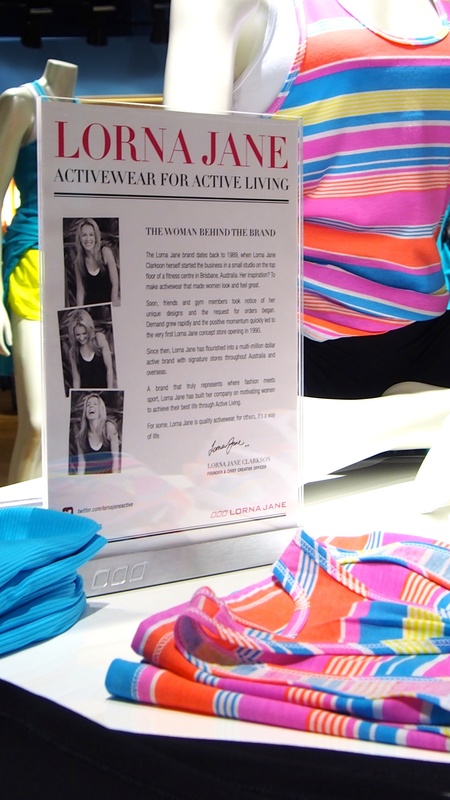 For the past five years now I have worked full time researching and identifying trends in active lifestyle, LOHAS, outdoor, sports, nutrition and health. In total I have worked with consumer trends for almost 20 years, starting as a freelance journalist at the tender age of 18. And it is based on these many years of experience, that I come to the conclusion that we have reached ”Peak Health” – or that we are seeing the end of the health trend as we know it. A couple of years ago, when the first large health bloggers and Instagram-stars started to emerge, it felt to many, including myself, like a fresh, humane and healthy (!) contrast to the many years of pure fashion bloggers only publishing their daily outfits or similar superficial representations of an idealised life. The first generation of health bloggers where usually really well-researched, hade a genuine interest and passion for a healthy, balanced lifestyle and didn’t seem to care that much about what other people thought about their lifestyle choices. Instead, they wrote out of passion and for the small but tight knit community of likeminded people. Then something happened. Suddenly, the interest in a sustainable, healthy lifestyle reached a tipping point where more and more ordinary people started to be curious about testing new types of food, exercising more, recycling etcetera. A huge number of journalists and bloggers who hade previously not showed any interest what so ever in exercising or drinking smoothies (so to say) started to write about their life transforming journey, and kale became the food symbol, almost elevated to a level of ridicule. In Sweden, this happened around 2012-13 and then increased exponentially. Now, this was – and still is – positive, because more and more people started to shift their focus, think more about their food intake, exercise habits and overall lifestyle (such as work/freetime balance, drinking habits, etc). If you look at the media reporting about health related stories, tips and features, they increased by several thousand percent during these years, and in parallel we saw an explosion of new running competitions, triahtlons, swimruns, obstacle racing and much more. Many indications said that this could hardly be a trend that could last, on the other hand, the level of deep-sighted interest, reflected a genuine interest from people to take care of themselves and the world. If you ask me, more and more people will continue to lead healthy lifestyles, eating better food, exercising more, recycling, shopping less and taking care of the planet. But. And this is a big challenge, we need to rethink about rethorics if we truly want people to not lose interest in health. Because people get bored. Want a new kick. A new cool thing to do. What happens when you have ”tried it all” and is starting to feel that this new lifestyle of yours actually is rather challenging and expensive? When I say that we have reached ”Peak Health” I mean that in terms of positive media coverage, we now see a clear decrease in number of articles. Less new bloggers emerge, and sadly enough, the vast majority who do write, are not that knowledgeable and are only covering it on a very superficial level, meaning that readers leave after a while. The majority of cook books that are released are still with some kind of health angle, but this again, is a problem, because most of them offer some kind of quick fix to a healthier lifestyle. Unfortunately there are no quick fixes when it comes to good health, instead it can be tough for many to change years of bad habits, another reason for people to give up too early. Another aspect of ”Peak Health” is that we see less people signing up for the big sports events, well in total numbers they are still many, but we see a decreased interest in general. And in social media, people are starting to get more and more irritated and polarized – we basically don’t want to see kale smoothie pictures in the tens of thousands. And let’s not talk about infinite number of yoga poses… Again, it IS good to promote a healthy lifestyle, we just need to rethink how we do this. I’m still myself in the research phase, and have no clear solution to this. But I believe we need to normalise health to the point where we no longer need to talk about health at all. Basically, why should we talk about ”Health Food” when we simply can talk about ”Food”? My personal aim is not a healthy self, just a Self, all by itself. All food should be organic, less processed, pure and if possible, locally produced to reduce the footprint. The food industry should not promote healthy food as a fad, instead there is a need to re-structure the whole system, bottom up, with the consumers who take the lead, changing the course of the industry with their wallets. Illustration by Marta Parszeniew. A few years ago, I found wellness. My body felt like a burden, and the food I ate didn’t seem to energise me or push me on: it dulled my edges, left me foggy, soft and slow. So I made a change. Nobody sums up the totalitarianism of wellness better than Deliciously Ella though. ”It’s not a diet, it’s a lifestyle.” And that’s just the catch. Couldn’t agree more. As Publisher of Rawness I have responsibility over people’s lives. Every article published can contribute to both wellbeing and anxiety and disorderly behaviour. Our contributors have been carefully selected because they have a balanced approach to health and life in general. And the word balance is key here – when we understand that life is not black or white, that not all health related advice comply to each and everyone, then we have come far. This is why the normalisation of health needs to take place, and why we need to talk about food and not health food, about life, not active lifestyle. How can we normalise health and make certain food the baseline for everyone? Meaning let’s not promote health food, but food that’s good for you (and the planet). What actions can publishers such as ourselves take to promote a more balanced view on health (like not promoting quick fixes, top-lists, too-perfect-to-be-true pictures, idealized lifestyles, etcetera)? When will people reach a final state of interest in health, and what phase will come next? And what can we do to prolong this into a shift that impacts generations? In the long term, what actions can consumers take to change the industry? … and what actions will brands have to take in order to earn trust and be sustainable? Finally, I truly believe that the industry, media, educated experts and passionate advocates of a healthy, sustainable and active lifestyle all have responsibility to form the future of health together, from a holistic, non-judgemental perspective that makes people truly healthier and the planet a better place to live on. And for those of you who don’t really know what steps to take in order to change your life – it’s OK, we all feel lost sometimes. But never forget the simplest rule of all when it comes to food; if you can figure out the ingredients necessary to make a dish or food, then it’s probably not bad for your health. Although, everything, from kale smoothies to cinnamon buns, have to be indulged with moderation. Snyggaste hoodien 2016 signerad Peak Performance. Cleant med en skräddad känsla. Designsamarbeten är alltid kul tycker jag. Ofta blir det fina resultat när grymma designers slår sina kloka huvuden ihop. Och så är även fallet när designers för Peak Performance lifestylelinje och performancelinje slagit sig samma. Till våren får vi se riktigt snygga träningsplagg med en skräddad känsla hos Peak Performance. Kulörerna går i stilrent vitt, svart, grått och marint med några klargula inslag. Det är små detaljer som gör att kollektionen för SS16 känns genomarbetad och exklusiv. Definitivt plagg som jag vill bära i vår. Kolla även in sneak peeks från Casall (här), ShapeMeUp (här), Björn Borg (här) och Kari Traa (här). Designer collaborations are always fun, I think. There are often good results when awesome designers put their heads together. And also is this case when designers from Peak Performance lifestyle line and performance line teamed up. 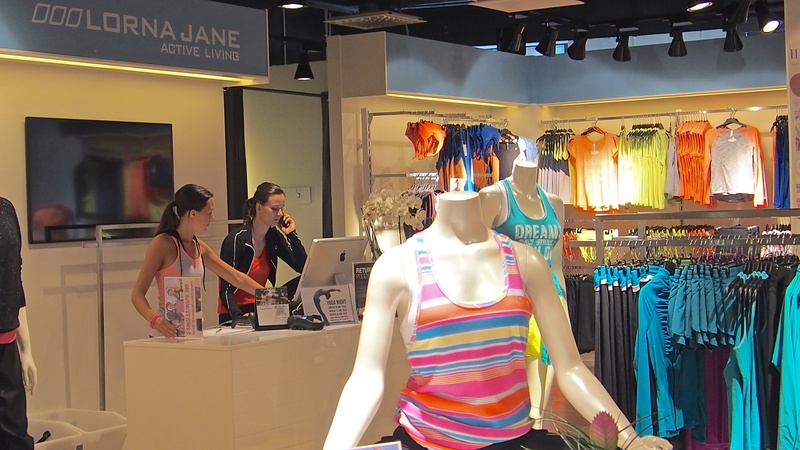 In spring 2016, we will see really nice workout clothing with a tailored touch from Peak Performance, the clothes are stylish in white, black, gray and marine blue with some bright yellow elements. 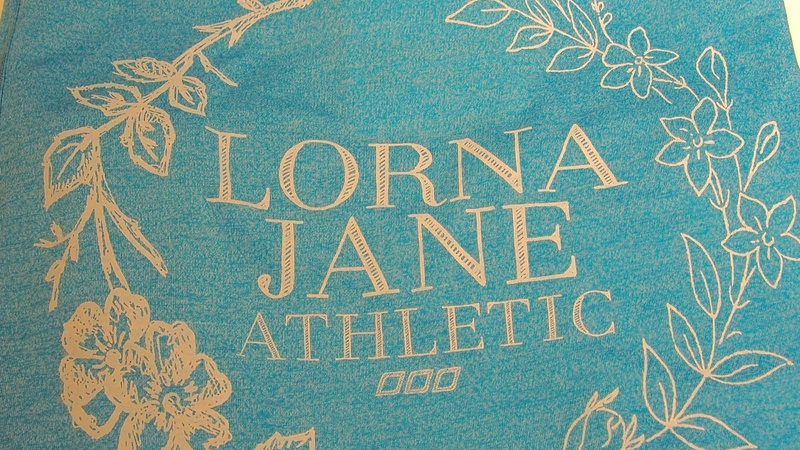 It is the small details that make the collection feels elaborate and exclusive. Definitely garments that I want to wear this spring. You can also see sneak peeks from Casall (here), ShapeMeUp (here), Björn Borg (here) and Kari Traa (here). Anna-Lena och Maya, vilken bonus! Gillar modellerna med Fresh Foam. Tidigare i våras var jag på New Balance pressvisning för hösten 2015. Jag är som ni kanske redan vet ett stort fan av New Balance skor och det kommer flera nya spännande modeller, bland annat Vazee Pace (release i sommar) som jag är riktigt nyfiken på. På klädfronten hittar vi också massor av snyggt och funktionellt. Dessutom har jag nu spikat höstens lifestyle sneaker, animal printet kan jag aldrig tröttna på! //Earlier this spring I went to the New Balance AW15 media meeting. As you probably know by now, I´m a big fan of New Balance shoes and soon we will see some new models, including Vazee Pace (release this summer) which I’m really curious about. 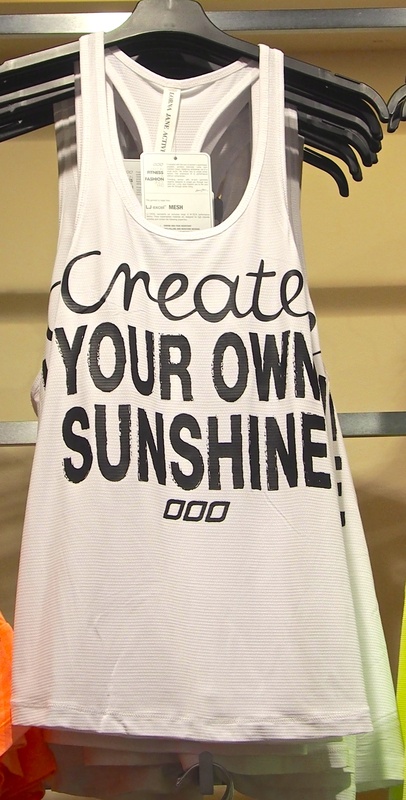 When it comes to clothing, we also find lots of stylish and functional garments. In addition, I now picked out my autumn lifestyle sneaker, animal patterns never get old! Solen tittade fram på lunchen så jag tog en quickie ner på stan. Dels behövde jag fylla på med kaffe och dels behövde jag röra lite på mig. Efter en stillasittande förmiddag med lite för många koppar kaffe snörade jag på mig löparskorna och begav mig ut. Efter tio minuter var jag inne i Nespresso butiken och fick där stå i kö då bara det fanns två kassor öppna, gah! Efter en lååång väntan fick jag äntligen komma fram och köpa mitt dyra kaffe av den välklädda säljaren bakom disken. Efter kökaoset på Nespresso fick jag helt enkelt gå mycket snabbare tillbaka, men vad gjorde det när solen skiner. Aaah! Våren är på ingång. Eller? Stureplan visade sig på sin bästa sida! Stil, Video Konstnären Swanski i unikt samarbete med Bench. Inspirerande film som ingår i kampanjen #lovemyhood från Bench Clothing – För övrigt ett nice street wear brand som ligger i gränslandet mellan en aktiv livsstil och det urbana. Jag bara älskar måndagar och vetskapen om att jag har hela vecka framför mig till att skapa, vara kreativ och inspirerar till en aktiv och mera hälsosam livsstill. Jag vaknar alltid tidigt på måndags-morgon och börjar som vanligt min morgonrutin med att dricka ett stor glas med varmt citronvatten för att väcka kroppen. Därefter brukar jag ge mig själv en stund av lugn där jag strechar och sträcker ut samtidigt som jag reflekterar över hur jag ska lägga upp min dag. Det första jag började med idag efter min strech var att göra en ”dream-list” där jag skriv ner saker som är viktiga för mig i min vardag med även i mitt liv. Det är ett fantastiskt sätt att påminna sig själv om vilket livsstill man vill leva och att alltid sträva efter det. Nu är det dags att riva av ett ordentligt axelpass, som avslut på min fantastiska morgon och förmiddag. Allt för en Oslagbar Hälsa och fortsatt grym dag! Ha en fantastisk måndag och kickstarta din dag på bästa sätt för dig! 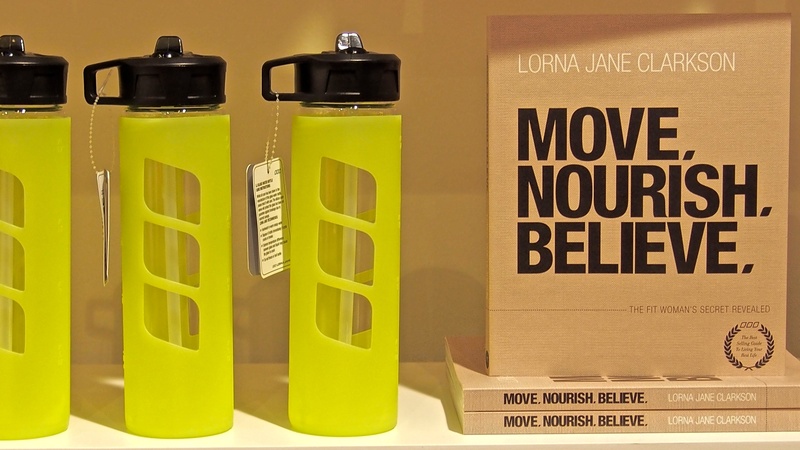 Move – Nourish – believe är Lorna Janes tanke bakom hela hennes koncept. 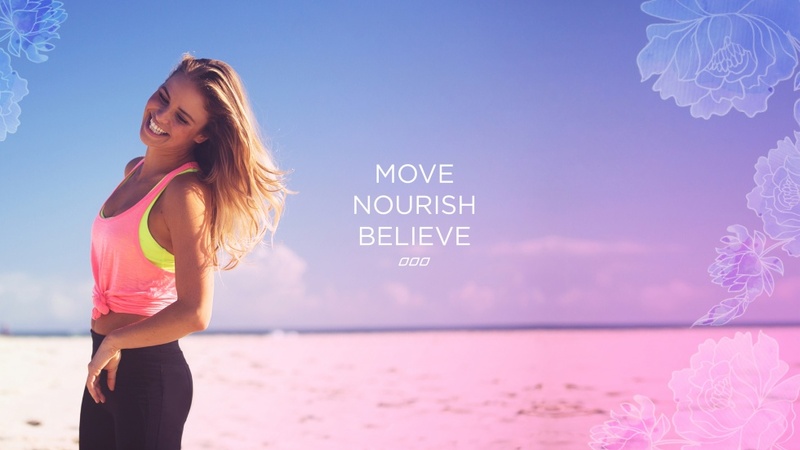 Dessa fantastiska sport kläder är mer än bara ett klädesmärke av hög kvalitet, det står även för en livsstil med inspiration, daglig träning/motion och hälsosam kost, alltså ”Move Nourish Believe”. Då jag haft mycket att göra den senaste tiden har jag inte haft möjlighet att titta in, men igår sprang jag ner och spana in den fantastiska butiken. När jag klev in i möttes jag av härliga färgglada kläder och inspirerande budskap, vilken butik! 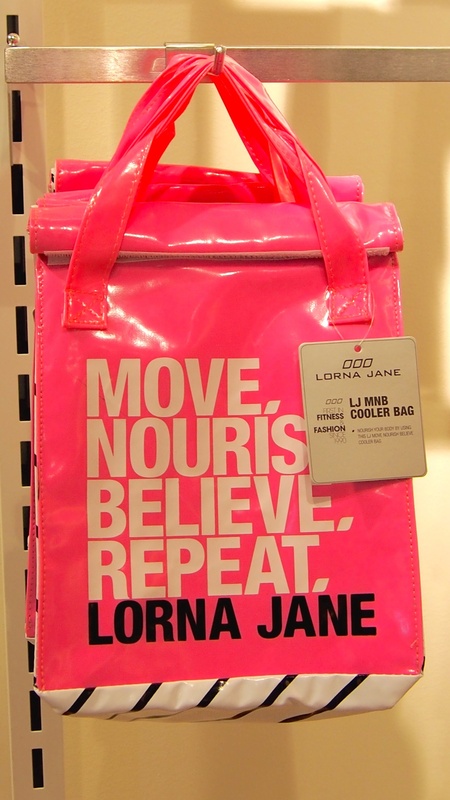 I am living the Lorna Jane Lifestyle – Move – Nourish – Believe!